A note before we start: This thought of the month is aimed more towards Mahjong beginners, but I believe the principles I will be talking about stand true for players of all skill levels. So let’s say you’ve made the decision to learn or develop your skills in Mahjong, with the end goal of becoming a strong competitive player in one or more styles. A seemingly monumental task awaits you. The very first time you log in you see a list of players in the chat lobby with many colorful belts and different accolades, an intimidating sight indeed. But, while you may not become a world-class champion overnight, I assure you, you absolutely can become a strong, skilled player by developing an efficient way to learn the game. Whenever I introduce friends or family to the game of Mahjong and Mahjong Time, their first response is almost always the same: “This game is so complicated!”. And in my opinion, they’re right. 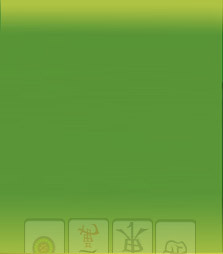 The strategy involved in Mahjong goes as deep as the human mind and the player’s imagination, cross-multiply that with diverse styles, each with their unique scoring and rule variations and you have a game that’s bound to make a newcomer’s head spin. So, the most important tenet of learning Mahjong and achieving your goal is simplification and incrementation. Mahjong is a logical and highly strategic game, and to learn it successfully one has to approach it in a logical and strategic way. Although there are many teaching materials out there in the form of books, videos, and even classes, it is ultimately up to you to break down the rules and strategies of the game into smaller and simple ideas that you can learn and build on. Mahjong beginners may be intimidated by the complexity of the game, but I assure you, even the pros didn’t learn it in a day. Break it down for yourself; start with the basics, don’t be afraid of trying new things, even if leads to a loss, and slowly build your skills. Replays of all tournaments where the highly skilled players compete against each other (these are invaluable when trying to dissect and learn how a veteran thinks and reacts during a game). And most importantly, the community! Players of all skill levels are always online to play with you... and don’t be afraid to ask for pointers, players are most often helpful and polite.